Agents against Indian Democracy have, in the guise of decentralization of power, been ruining our social fabric by politicizing the Panchayats. Navin Patnaik has surpassed every body in this endeavor by not only planting party candidates but also by encouraging unfathomable expenditure in Panchayat electioneering. One was to see to believe how lavishly his candidates have spent money in the base levels. It was unthinkable in Orissa that a Chief Minister would sans qualms electioneer in aircrafts for Panchayats. But Navin did it. And in doing this he vitiated the grassroots with so much political poison that illicit guns and bombs were used as never before in Orissa. Even post-election violence has been playing havocs with rural life in Orissa. Brother killing brother, son killing father, husband killing wife, friend killing friend � may be hard to believe – but sadly the post-panchayat-polls scenario in Orissa is amalgam of these. Instead of consolidating unity and understanding amongst villagers which Panchayatiraj aims at, electioneering has ruined rural brotherhood and corrupted impartial functionaries. Incarceration of Presiding Officers (POs), even Gazetted Officers like Block Development Officers for tampering with ballot papers and for siding with ruling party candidates to capture booths is a pointer to this. What to speak of such low grade and low paid government servants, a constitutional authority is so corrupted by the impact of Panchayatiraj that his actions are considered as crimes against the people. As for example, the Speaker of Orissa Legislative Assembly, Mr. maheswar Mohanty, supposedly the most impartial functionary of the State, has been subjected to Crime Branch action for having contravened the Model Code of Conduct. Mohanty belongs to BJD, the sycophant party of Navin Patnaik. Elected MLA as a candidate of BJD, the party of Navin�s family sycophants, Mohanty was made the Speaker by Navin, his follower MLAs, taken for granted, approving. After being the Speaker he has never made people know that he has resigned from BJD. He has never said that in future, he shall not be a candidate of BJD for the Assembly. Hence he was in BJD before being the Speaker and he is in BJD after being the Speaker. And he will depend on BJD to be a candidate for the Assembly in future. Naturally therefore, he might have tried to establish that he is loyal to Navin. Navin had made every MLA understand that his or her future candidacy for Assembly would depend on winning Panchayat polls in the corresponding constituency. Mohanty�s mind might have been stressed under this pressure and he might have tried his best to see that the BJD candidates in Panchayat elections in his own constituency win in majority at any cost and hence he might have persuaded himself to flood the Panchayats of his area with poll literatures. In such circumstances seizure of the BJD poll literatures from the official vehicle allotted to him for protocol duties is no discovery of any impossibility. Circumstantially possible, it has attracted action under the penal code as use of government vehicle in election campaigns is strictly prohibited. This bizarre mischief might not have embarrassed our democracy had Chief Minister Navin Patnaik shown an iota of probity in Panchayat polls. It is a shame that he is boasting of having bagged 41 more seats in Zilla Parisads than the Congress. (BJD has officially won 344 seats as against 303 won by the Congress.) But as is being unveiled day after day, this slight majority looks like a result of rigging. If the people, as Navin has been claiming, have voted in support of his Government, why his other half, i.e. his partner BJP has been thrown into debacle? It cannot be accepted that the people have refused one part of the Government and accepted the other part. You can accept a coin with both of its side or refuse a coin with both of its side. So, by refusing supportive mandate to BJP, the people have no doubt refused the BJD as well. Therefore, the slight victory in mere 41 seats over the Congress that Navin is boasting of, cannot but be an outcome of corrupt practices as is being unveiled in case of POs being arrested for vote tampering and booth capturing and rampart misuse of Government resources as is unveiled in the citizenry-activism that has led to prosecution against the Speaker on charges of misuse of Assembly personnel and vehicle in electioneering work. But this is not the whole ill Panchayatiraj is generating. The provision for political parties putting their candidates for Zilla Parisads at the central top of the piramid of Panchayat polls has destroyed the party-less purpose of Panchayatiraj. This is making a farce of self-governance philosophy that the Panchayatiraj stands for. Instead of becoming a boon for democracy, Panchayatiraj has become an insurmountable obstacle for democracy. Thinking minds must look at it seriously. “Politics is like a race horse. A good jockey must know how to fall with the least possible damage”, had said Edouard Herriot. For the Speaker of Orissa Legislative Assembly Mr. Maheswar Mohanty as well as for his antagonist in his home town of Puri Mr. Uma Ballav Rath politics is, no doubt, a race horse, but neither of them looks like a good jockey. Consequently both of them face possible damage. Chapter IV(1) of the Code of Conduct enforced by the State Election Commission on 26.12 2006 for the Panchayat elections of 2007 had imposed restrictions on use of Government vehicles for electioneering. It is therein stipulated that “under no circumstances (Ministers, Govt. Chief Whip, Deputy Chief Whip and Leader of Opposition and others who are provided with official perquisites and transport) shall use official machinery or personnel or transport for election campaign directly or indirectly”. Speaker Maheswar Mohanty has allegedly contravened this restriction and therefore, has attracted penal action. An official vehicle bearing Registration number OR 02 R 4949 is allotted to Mohanty under protocol duty. Its driver is a government servant. This vehicle, while allegedly transporting electioneering literatures of BJD, the party of the Chief Minister’s family sycophants, to which Mohanty belongs, was followed from Bhubaneswar and intercepted at Chandanpur of Puri district by former MLA and his antagonist Uma Ballav Rath. Precipitating a confrontation between local followers of both Mohanty and Rath, it roused the officialdom into action and the S.D.O. of Puri Sadar, who happens to be the Returning Officer, filed a complaint in the Chandanpur Police Station leading to institution of Case No. 19/07 under Sec.188 of Indian Penal Code. But the case looked like self-defeating inasmuch as vital information on the involved vehicle was not included in the case records. Smelling a rat, the Election Commission has handed over the investigation to the Crime Branch. Mohanty, on his part, after knowing of the case at Chandanpur, asked his Secretariat to enquire into the alleged use of the official vehicle and report. Technically he may be right because he has every right to order for such an inquiry. But he has failed to apprise the people as yet of what steps he has taken thereafter against the person who drove this vehicle overloaded with his party propaganda materials and his steno who was found in the said vehicle accompanying the driver. On the other hand, Mr. Rath has also attracted the needle of suspicion towards himself. How could know that the particular vehicle was carrying the particular printed materials? Why he followed it till Chandanpur where his supporters were waiting in large numbers? Has he cooked up the entire conspiracy against Mohanty against whom he has been fighting unsuccessful battles? Nothing is impossible. There is reason to suspect that he is capable of manufacturing scenarios against rivals. As for example, when he was a member of Orissa Assembly, he had developed personal animosity with an eye surgeon of Puri Destrict Hearqrs Hospital, Dr. Bana Behari Mohanty. All on a sudden he raised an allegation that Dr. Mohanty had stolen eyes of a poor lady patient that caused her death. He even went on alleging that Dr. Mohanty had offered him bribe not to raise the issue in the Assembly. There was tumultuous debate over the issue in the Assembly and a Commission of Enquiry was constituted with Rabindra Mohan Senapati at the head to find out facts. Rath did not substantiate his allegation and the commission reported that it was not true that the eyes as alleged were stolen. Against this backdrop, it will not be surprising if some one suspects that the driver and steno of the Speaker were gained over by Rath and used to use the official vehicle of the Speaker in transporting BJD electioneering materials, printing whereof in any press by anybody is not impossible. such a suspicion has led the Crime Branch to interrogate Rath on how of everybody he alone could know of the so called illegal cargo and how it is that his supporters had congregated in so large numbers at Candanpur to seize the vehicle? And, perhaps from this, the dark side of power politics the commissionists are playing may manifest. What would be the manifestation is viewable in future. But the moment’s syllogism suggests that both Mohanty and Rath are bad jockeys that do not know how to fall with minimum possible damage even as the scenario strongly suggests how Panchayat elections have become farcical in Orissa and polluted. The sooner the culprit is found out and punished, the better it would be for democracy. But is the Government run by Navin Patnaik fit for expediting process of law? I have my qualified doubts. But you are free to stick to your own opinion. The farce that is going on in the name of awarding civilian titles like Padma Vibhushan, Padma Bhushan and Padma Shree needs to be stopped. The highest civilian honor Bharat Ratna, excepting the nomenclatural difference, also belongs to this spectrum. The Constitution of India has put a blatant ban on such titles. Article 18 (1) has stipulated, “No title, not being a military or academic distinction, shall be conferred by the state”. This means, under the scheme of this Article the Government is debarred from conferring any title excepting the military or academic distinctions on any citizen. Titles under the Padma spectrum are neither military nor academic. Hence these titles are unconstitutional, anti-constitution and unlawful. Of course, a Supreme Court verdict on 15 Dec.1995 has gone in favor of constitutional validity of these awards, but as we know, the Supreme Court has always the opportunity to disagree with its own earlier verdict. 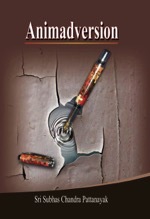 The Industrial Disputes Act is a point of reference in this respect. However the Supreme Court has not said that the ban imposed under Article 18 (1) on the State doling out titles other than military and academic is illegal. And this original Article of the Constitution is not susceptible to nullification by the Supreme Court. When this original article bans conferment of any title other than military and academic by the State, any and every legal interpretation on validity of awards of civilian titles cannot be the last word in the matter of interpretation. So, notwithstanding the Supreme Court verdict, on reading of the language of Article 18(1), which is a very unambiguously plain, simple and understandable language, civilian titles of the Padma spectrum are extra-constitutional, to say the least. It is a shame that eminent Judges and Jurists have accepted these illegal titles without any qualm, so degraded a nation we have become! Besides being illegal, award of these titles give glimpses of so much favoritism that it is difficult to say who has not bagged a Padma title without lobbying for the same or without grace of a godfather in Government. “The stark truth is that in order to bag an award, one has to know how to pull the right strings”, vocalist Prabha Atre on whom the title of Padma Bhushan was conferred in 2002 after more than a decade of receiving Padma Shree, is on records to have said. 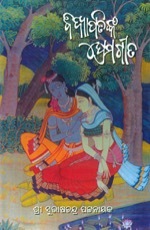 This year’s distribution of Padma titles expands this “puzzle”. Ten persons have been selected for Padma Vibhushan, the highest amongst the three Padma Awards. Out of these ten, Delhi has bagged six, one has gone to Delhi’s immediate neighbor Haryana, one has gone to the home province of the Prime Minister’s closest ally in destroying India’s resolution for socialism, P.Chidambaram and the rest two have gone to USA. In the next highest segment, Padma Bhushan, Delhi has bagged six, the highest in number next only to the users of their respective expertise in foreign lands; USA bagging four, U.K. getting two and Japan, South Africa as well as France bagging one each. So dwellers of the National Capital City and foreign Countries have together taken away 15 Padma Bhusahan titles leaving only 14 in this segment for the rest of India. Out of these 14, two of the provinces, Kerala and West Bengal, under grip of reformed Communists – reformed, because they have been supporting Man Mohan Singh, who opened up India’s economy to strangulate socialism- have bagged as many as six when another strong muscle of Man Mohan Government, Sarad Pawer’s Maharashtra has fetched three of these awards. One each has been bagged by Assam, Mizoram, U.P. and Tamilnadu as well as by Chandigarh. No other province of India has had any body to qualify for this second class Padma title. Even for the third class Padma, i.e. Padma Shree, lobby looks like having played the decisive role. Otherwise, how it is that massive majority of the awardees of Padma Shree belong to places where the present central government has his support base? See the position. Delhi has bagged 17 of these titles whereas Maharastra has got nine and Tamilnadu has bagged eight. Similarly U. P., where Mrs. Sonia Gandhi and her son have their political stake, has taken five of these titles equaling the Congress ruled Andhra Pradesh. Next highest batch of Padma Shree awardees numbering four belongs to Congress ruled Uttarakhand whereas Kerala and Karnataka bag three each. When Congress led Punjab has got two Padma Shrees, two each have gone to Gujarat and Manipur. J and K, Rajasthan, Goa, Chandigarh, Haryana, Madhya Pradesh, Chhattisgarh, Orissa, Bihar, Assam, Sikkim, and Arunachal Pradesh have got one each when dwellers in foreign countries such as Russia, Ireland and U.K. have bagged five Padma Shrees. West Bengal, though not shown as home State of any new owner of Padma Shree title this year, the Bengalis have bagged four of this segment through two addresses at USA and one each at Delhi and U.P. This shows that there is no uniformity in selection from the States. This again suggests that there are provinces where people are more capable and render more distinguished service than people of other provinces. If this is what the government wants us to accept, then this is bad, unacceptable, untenable and anti-integration. No true Indian can tolerate this nonsense. Selection of majority persons from provinces, where the union government has its stronghold; and non-selection of worthy persons belonging to provinces, where the set up in central power finds opposition; is nakedly indicative of nepotism, favoritism and regional chauvinism and political parochialism. Moreover the phenomenon is blatantly discriminatory. Lest people know this aspect, the criteria for selection and with whom the selected persons were compared to be adjudged best in their respective fields are kept hidden from public gaze. The entire exercise needs to be tested on the matrix of the criteria, if any. But no criterion is codified. I do not mean to say that all the persons that are not worthy of national honor for their respective contributions in enlisted fields have been given the honor, but lack of any codified and legalistic criterion to ensure that no worthier is left behind has made the entire exercise questionable. To me as an Oriya Prativa Roy getting a Padma Shree may be a matter of pleasure. But when question of responsible citizenship arises, it becomes a matter of despair. It comes to notice that a worthy Oriya like Barendra Krushna Dhal has been again ignored for such an honor. Why? The question hunts. Dhal has not only won Central Sahitya Academy award, but also he is the soul behind the Book-fair movement that has made innumerable people develop reading habit in Orissa. So as a man of letters his role is solely social. Selection of persons for Padma title, though the criteria are not yet codified, is touted to be based on how far useful to society are the life long contributions of the person under consideration. On this ground only, as a man of letters, Barendra Krushna Dhal, the social campaigner for letters, surpasses every Indian in merit for the first class Padma Award for literature and education. If journalism’s sole aim is to educate the people about everything that affects man and society and earth and environment, Barendra Dhal is a top ranking educator. His contribution to the cause of journalism is well recognized by the National Union of Journalists of India that had unanimously elected him to the post of its President. He has the rare distinction of having reported the last public meetings of Prime Ministers like Jawaharlal Nehru and Indira Gandhi, going against the tides and overcoming many odds in the process that establishes his devotion to duty for democracy. When Roy is selected for the Padma Shree title in the segment of literature and education from Orissa, why a more worthy person like Dhal has been ignored? Unless some body has conspired against him, he is not likely to have been ignored. I cannot say who is responsible. But when Roy is selected under the category of literature and education, non-selection of Dhal seems intriguing. This prompts to recapitulate the past. When Roy had been made a member of Orissa Public Service Commission, it is Dhal only, who had questioned the appropriateness thereof in his column. She was not found by the OPSC eligible to become a Reader; but there after, as the then Government, marked for manipulative tactics, placed senior lecturers in selection grade in the Readers’ scale of pay, she became a de facto Reader. Dhal had questioned as to how a person like her could be given a constitutional position to control and conduct selection of Professors; specifically when some of such persons were the very persons who had superseded her for promotion to the rank of Reader? Against this backdrop, selection of Roy for Padma Shree when Dhal remains in oblivion generates suspicion. Who can say whosoever suggested and/or selected Roy was/were not made not to consider Dhal, who alone had questioned the wisdom behind appointing her to OPSC? Circumstances discernible in Dhal’s attack on the said appointment suggest that without a strong lobby Roy could not have been chosen for the OPSC membership. There was also reason to suspect the role of lobby behind her bagging the Central Sahitya Academy award. 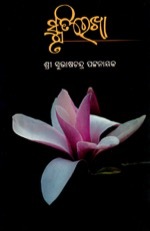 Dr. Hara Prasad Parichha Patnaik, former Secretary of Orissa State Sahitya Academy had told me four months before she got it that she will get the Central Sahitya Academy Award. And to my astonishment that had come true. When the Central Sahitya Academy award was not finalized, how could Dr. Parichha Patnaik know that Roy would surely get that award? Was he aware of the lobby and the power of that lobby? If lobby like this has propelled her to positions and recognitions in the past, it would not be surprising to suspect that the Padma title might also have been netted through the lobby. As Prabha Atre, quoted supra, has stated, “in order to bag an award, one has to know how to pull the right strings”! Unless the government makes it unambiguously clear by placing before the public as to who were taken into consideration along with Roy and why it is only they that were taken to consideration and with whom her contributions were compared and by whom compared, the injustice done to Dhal cannot be fully comprehended and the conspiratorial side of the story cannot be wiped out. This is an intricate issue. It would not have developed had the criteria for selection of persons for Padma titles been codified and made public. As lobby plays the trick, worthy persons are often ignored. Not only in Orissa, also elsewhere. I remember, Kathak Queen Sitara Devi had expressed reluctance to accept Padma Bhushan in 2002 because persons far below her age, experience and expertise had been conferred with the higher category title of Padma Vibhushan. Who does not know how announcement of the title of Padma Shree in favor of Shyama Charan Pati for his supposed contribution to Chhau had been objected to by almost all of the Chhau exponents from Jharkhand and Orissa last year? Terming it “a big Padma Shree fraud”, they had attracted attention of President A.P.J.Abdul Kalam (The Telegraph, 10 Feb.2006) and had demanded for a probe, which had exposed to what nasty extent lobby helps in bagging Padma titles. Pati was a person whose credential as a Chhau artist was also seriously questioned. Accoding to Tapan Kumar Pattanayak, Director of Government-run Chhau Nritya Kala Kendra, Seraikela, “ever since the organization came into existence, there is no mention of Pati having contributed in any way to the art form”. Stating that the State of Jharkhand organizes Chhau festivals every year, Pattanayak had revealed, “Pati never featured in that event. There are eight Gharanas of Seraikela Chhau while four of Kharsawan Chhau. But we have no information as to which Gharana he belongs to”, he had told then. On being apprised of how Padma titles are manipulated, the Supreme Court had issued a direction that the no selection beyond the list prepared by selection-committees in various States can be made in respect to persons belonging to the corresponding province. The Secretary of Culture of the Jharkhand Government, N.N. Sinha had made it clear that Pati was never recommended by his department. It transpired that he was not sort listed by the provincial government. But his name was announced on the eve of the Republic Day! This shows that some one in the top most corridors of power had selected him from beyond the official list in stark disregard to the Supreme Court order. Who is this person that unofficially selected him, when and why? The Pati issue has made it clear that absolute lack of eligibility notwithstanding, people have been bagging Padma titles if they know “how to pull the right strings”. Famous poet Dilip Chitre is quoted in Times of India on 2 Feb.2003 as having said, “We have a darbari culture and awards are often doled out as favors, apparently in exchange of personal loyalty”. He has cited how Yashwantrao Chavan had cultivated a Padma Bhushan title for his professor N.S.Phadke, even as senior and more deserving litterateurs languished in anonymity. It is a shame to recall how Atal Behari Vajpayee as Prime Minister was seen as the force behind a junior vocalist of Mumbai in being chosen for Padma title in 2001 leaving behind much more deserving, senior and superb exponents to languish, simply because he had given voice to his poems. This reminds one of how such phenomenon was described by S. Kalidas, Associate Editor of India Today in its pages in February, 2001 in a reaction to refusal of Padma Bhushan by Ustad Vilayat Khan. He had noted, “Our mandarins in the government have always behaved like the proverbial lotus-eaters. They are invariably so full of their own sense of self-importance and power of patronage that they are blind to all nuances of ground realities. Besides the system of selection of Padma Awardees is flawed to the core. For some reason this is something that the ministry of Home Affairs, the cabinet, the Prime Minister and the President are all involved in. And with these luminaries, State Chief Ministers, Chief Secretaries and Governors also have a say in recommending people from their respective States. But none of these VIPs are ever really well informed about any of the fields that they are supposed to select the recipients from. So the choice is more often determined simply by the exigency of who knows whom”. Evidences of manipulation in conferment or achievement of Padma titles are galore. Mr. K. Natwar Singh has put on records that in 1983 he had wanted Padma Bhushans and Padma Shrees for those who had helped organised the two summits, NAM and CHOGAM in New Delhi on the precedence created by conferring Padma on organizers of the Asian Games in 1982. But Indira Gandhi did not approve. She approved Alexander’s recommendations in his favor as a result of which, his name was announced for Padma Bhusan on 26 January 1984. (Profiles and Letters, P. 204). Call it an instance of sycophancy if you like. But conferment of Bharat Ratna on Indira Gandhi by V.V. Giri on his own accord points out to the fact that the highest Civilian Title of the Country is susceptible to individual preference. How President K.R.Narayan had wanted Bharat Ratna for C. Subramaniam has been on records by former Prime Minister I.K.Gujral. So, lobby and the ability to pull “the right string” are fetching Padma titles for the aspirants. Even the committees constituted for selection are suspected to be comprising of lobbyists of different aspirants. Had it not been so, in 2005, Ranbaxy Laboratories founder Bhai Mohan Singh, then under trial for bouncing of a Cheque, would not have been chosen for Padma Bhushan. The entire business of Padma besides being ultra vires of Indian Constitution; is unprincipled. Jawaharlal Nehru as Prime Minister was a man of many dreams and as dreamers usually arrive at emotional decisions, he had formulated these national honors. In a letter to Chief Ministers in 1954, he had told them that the awards were meant for “rather distinguished people in science, engineering, medicine, art, literature and social work. This indicates the way India looks today. We honor the creative and the developmental activities of the nation and we wish people to honor them”. He had not contemplated then that a time will come when self seekers shall not only engage lobbyists to fetch these titles, but also shall endeavor to fetch still higher titles one after the other. Look at Orissa’s Kelucharan Mohapatra, in whose perception his son and his daughter-in-law are the only true sources of education in Odissi dance, on whom students of the dance form may depend in future. To a question from Orissa’s the then art-sentinel Bibhuti Mishra as to as Sanjukta Panigrahi was no more there, who could be considered a guide; he had said that role may fit to his son who holds his banner Srjan or to “any dedicated student of mine or my daughter-in-law or even my granddaughter” as if no other Odissi exponent had any worth. In fact so averse was he to others that he had no hesitation in alleging that they are polluting the dance form “in the name of improvisation and innovations and many so-called great dancers are also guilty of this”. When reminded of the innovations he has claimed to have made himself, in this interview, Mohapatra had tried to confuse the interviewer by jargon like “I have operated within the basic idiom of the classical code”. What classical code? Mohapatra had never given due credit to Kavichandra Kali Charan Pattanayak but for whom Odissi was never to earn classical status and artists like him were not to so easily shine as they did. On the other hand, he has never followed Abhinaya Darpana Prakash, the only scripture held as Grammar of the dance form, on the basis of which Odissi is bound to be regarded as classic for ever. He was a performing artist, not a scriptural scholar. When he is no where on records to have followed the Code of Odissi, i.e. the Abhinaya Darpana Prakash, authored by the Prince of Tigiria, Jadunath Rai Singh, his attempts to justify his so called innovations in the name of classical code is nothing but a tactful escapement. 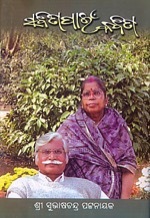 Reacting sharply to Bibhuti’s suggestion that Sanjukta Panigrahi “could not get anything beyond Padma Shri while others of doubtful merit but with better contacts and lobbying power got even the Padma Bhushan …” he had asked “what has my wife, Laxmipriya Mohapatra got? She was the first female Odissi dancer who brought the dance form to the stage. She is also the one who inspired a whole generation of dancers, but she has remained unsung. Even the State Sangeet Natak Akademi has not bothered to honour her”. Mark the man. He was so severely angry over his wife not getting State recognition that he did not hesitate to keep it on records. But he has never said that the best of civilian title should be bestowed upon Kavichandra Kalicharan who was the real architect of Odissi’s classical status. Can any self-centric person be different from this type? But this gentleman is remembered for the promotions he acquired one after one in the ladder of Padma. He bagged Padma Shree in 1972, Padma Bhushan in 1989 and Padma Vibhushan in 2000. Is there a curriculum in Padma scheme on fulfillment of which one qualifies for higher degree? If in 1954 this scheme was formulated for recognizing people of excellent contribution to various fields of academic and socio-cultural activities, any one ward in recognition thereof must suffice. 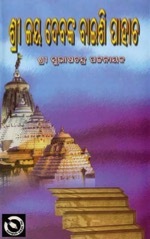 Why a man like Mohapatra had been given all the three Padmas in succession? There is no codified yardstick to determine as to what quantum of contribution would justify what sort of Padma. So which part of his activities exceeded which determined quantum of his Padma Shree fetching contributions to justify his elevation to Padma Bhushan and similarly to further elevation to Padma Vibhushan? Mohapatra is not alone. M.S.Subhalaxmi had started her run from Padma Bhushan in 1954. Her performance in music was matchless and if at par with Dr. S. Radhakrishnan, Dr. Chandrasekhar Venkat Raman and Chakrvarti Rajgopalachari she could have got Bharat Ratna in 1954, which she finally acquired in 1998, there was nothing to object. But she was first conferred with Padma Bhushan in 1954, then with Padma Vibhushan in 1975 and finally with Bharat Ratna in 1998. Many such instances are there. Sans a governing Law, it is fed to public that it requires a decade to lapse for a Padma title holder to be conferred with a higher Padma title. This is also an attempt at hoodwinking the nation, because in reality it is not followed. As for example, Dr. V.S.Arunachalam who had a Padma Bhushan title in 1985, bagged Padma Vibhushan in 1990, which is not a decade but only a half of it. What does it show? It shows that Padma titles are manufactured and manipulated in favor of persons who know how to pull the right string and distributed sans any principle. This apart, religion and castes are also being taken into consideration while entertaining any nomination for these titles into consideration. The columns that are required to be filled up in the nomination Form comprise one item captioned “Religion” and another item captioned “Category” where information on whether the person nominated belongs to Scheduled Caste or Scheduled Tribe or Other backward Castes or General Castes are sought for. This farce must not be allowed to infest our body politic like this any more. In the guise of volunteer service, the Non-Government Organizations (NGOs) have become insurmountable mediums of looting public money. Their activities are in presenting projects and executing them in files, not in the fields. This observation does not come from any official auditor or from any administrative authority that has the experience of granting money to NGOs and watching misutilisation thereof. It comes from an active sentinel of society, Sri Tathagat Satapathy, who besides being a member of Indian Parliament marked for appropriate participation in debates, edits and brings out Orissa�s fearless and speaking daily The Dharitri. Let me first tell you a few lines on Tathagat. About 15 months ago, I had written a letter to one thousand persons that are my personal relatives and friends, well acquainted with my political past and present prejudices. They love me deeply and know every aspect of my life. And therefore they know that in my perception, whosoever is not for communism is for commissionism, through which capitalism strengthens its grip on national economy. My close circle being well acquainted with this perception of mine, I had the hope that while answering they shall not forget to keep my perception in mind. But none of them gave any glimpse of my perception having influenced his or her answer. Therefore their answers were unprejudiced, unbiased, and honest. Now, therefore, I will tell you of it. I had asked them to suggest four persons from amongst politicians of Orissa in whom they can visualize a future Chief Minister. I had made it clear that Orissa is languishing in the labyrinth of leaderless politics and therefore a future leader is to be located. I had made it clear that all the political parties have failed and betrayed the people and therefore, as political parties they are looked at so askance that the country has been left to experience unending chaos under coalition of political parties representing rival geo-politico-economic interests for decades. Situation is so precarious that till people, most of them belonging to the working class, elect the working class political ism to shape the Country, no political party could be acceptable. This is why people are seen relying upon individuals. The active wing of Indian National Congress transforming into Indira Congress; and later, the Janata Dal that had grabbed power as the first non-congress Government in India, getting drifted into the state of being identified by the name of Chandrasekhar; regional outfits usurping power in the name of Annadurai or Biju Patnaik, and degradation of democracy to the supremo-syndrome that mocks at our motherland through people like Bal Thakre and Navin Patnaik, cannot but be the result of political parties� forfeiture of credibility as a whole. As I have said, till people elect the working class ism to shape the Country, no political party can command confidence. Against this backdrop, I had informed my relatives and friends that Orissa�s position is more precarious. No body from amongst the past and present Chief Ministers of Orissa is any more acceptable. The High Command syndrome in Congress is not congenial to emergence of any leader in that party as a sure future CM. The BJP is so much infested with vested interest stooges of private capital that none of it can be trusted by the people for the top post. The capitalists having pushed the electoral system into the dark height of exorbitant expenditure, with right-wing media in their pockets and religious revivalists at their beck and call, the Communists, far from proper publicity, cannot catch votes, most of the voters being uninformed and misinformed and in inanition. The BJD being boss-centric sans any ideology, cannot dare to think of any alternative to Navin. Hence no political party in Orissa can offer future leadership as a collective body. (Young India, 18 Feb.1920), would forfeit its own identity. Narrating this, I had requested my well informed relatives and friends to suggest four persons on the basis of their individual leadership qualities and concern for the people who could be groomed as future CMs. To facilitate their choice I had, on the basis of my experience as a political watcher and analyst over and above my past experience in applied politics, I had zoomed into ten names and asked them to pick up four names out of those ten and also , if any, beyond these ten. All of them agreed that the ten names I had advanced were exhaustive. Therefore they suggested four persons out of the list of ten I had advanced. I found Tathagat was one amongst these selected four. I have discussed this with many people who have had discussions with me. It was my private query and the answers of my relatives and close friends shall remain in my private domain till I am convinced that their choices were not without justification. And I have put my alert eyes on all four of them including Tathagat since then. As a parliamentarian Tathagat has made a mark. He has established that he is not a minion in the machine of power politics. He has given enough evidence of his capability of thinking independently, individually and with foresight and conviction. As for example, I watched his participation in the debate over reservation of seats for the women. His argument was ethical. And, clearly so. When there is no bar at all on women contesting elections, reservation of seats for them would pave a permanent way to looking at them as inferior, he maintained. This is just an instance. 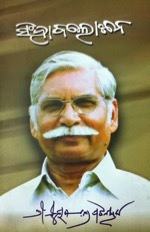 His other side being media, as Editor of Dharitri, he has also made a mark. I have watched him going against the tides in pursuit of facts, even to the extent of facing judicial trials. Therefore, I have quoted him to begin this page. What he has said is worth noting. The NGOs, he has observed, are hand-in-glove with corrupt officials in looting public money citing restoration of blacklisted NGOs to panels for execution of developmental projects as a pointer. In this timely editorial, he has come down sharply on the Government decision to hand over as many as 60 Primary Health Centers and 120 Health Sub-Centers to the NGOs. When private clinics and hospitals stand synonymous to patient exploitation to the extent of denying dead bodies to families of the deceased ones, unless sumptuously paid for the co-called service they claim to have rendered; and to dishonesty, to the extent of tampering with evidence as seen in Rahul Mahajan�s drug offence case by the famous Apolo hospital; how come the Government decides to hand over government hospitals to NGOs, the segment marked more for scheming for benefit of own office-bearers than for benefit of the people, he has questioned. So this question has not been raised by any uninformed citizen, unfamiliar with what is happening. 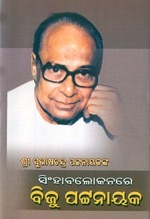 The wisdom of the Governments, both at the Central and the State Level, has been questioned by a thinking mind in which alert people of Orissa have found a person, who, given the requisite support can lead them; and who, as a Parliamentarian and as a Mainstream Editor has given enough evidence of right thinking. 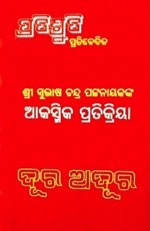 I recommend Dharitri editorial of January 29 to every body. All attempts to privatize health services must be objected to and rejected.